Minimized Muscle Disruption: Extended screw heads provide a minimized outer diameter to help reduce muscle disruption and screw sleeve interference. Powerful MIS Correction: Deformity adapters rigidly attach to the extended screw head to allow for screw manipulation and deformity correction. Integrated Rod Reduction: Ensures proper thread alignment while capturing, reducing, and locking the rod in one simplified step. 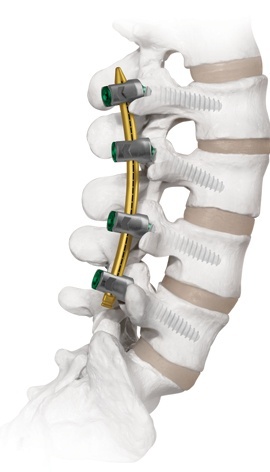 Globus Medical and the MIS Fixation Team are pleased to announce the addition of CREO MIS® HA-Coated Screws to the CREO MIS® Platform. HA-Coated Screws are designed to enhance fixation while performing a MIS procedure. These screws may be useful for revision surgeries or for patients with weak or osteoporotic bone.